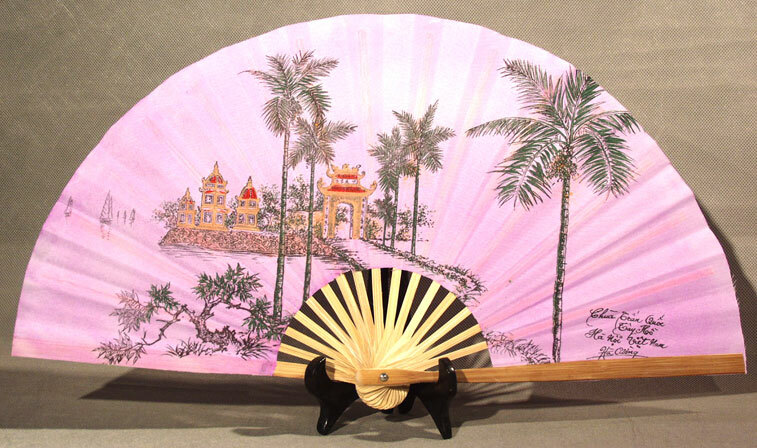 These fans come from a village near Hanoi, north of Vietnam. They are all hand painted and made out of natural materials like bamboo and silk. The themes are all about famous lanscapes of Vietnam. Each fan is like an artwork of painting.